For Creamer Media in Johannesburg, I’m Halima Frost. President Cyril Ramaphosa has concluded a working visit to Germany where he attended the G20 Investment Summit. The visit reinforced cooperation between the governments of South Africa and Germany on bilateral and global issues and underscored the critical importance of German investment to South Africa’s efforts to stimulate sustainable and inclusive economic growth as a means to reduce poverty, unemployment and inequality. On Tuesday Ramaphosa addressed the G20 Investment Summit in Berlin in his capacity as Co-chair of the G20-Africa Advisory Group. The Democratic Alliance's lawyers wrote a letter to Cape Town mayor Patricia de Lille's lawyers, stating that they expect her to resign today as previously agreed. 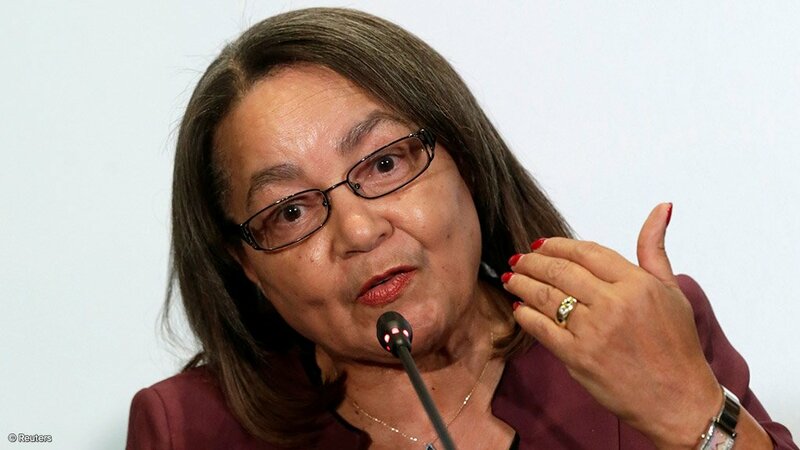 Criminal charges have been laid against De Lille following Cape Town city council's adoption of two reports by law firm Bowmans into maladministration at the metro. Deputy chairperson of the DA's federal council Natasha Mazzone yesterday confirmed that Cape Town speaker Dirk Smith laid criminal charges against De Lille and mayoral committee member Brett Herron. Economic Freedom Fighters leader Julius Malema was yesterday sworn in as a member of Parliament's Joint Committee on Ethics and Members' Interests, which has the case of his right-hand man Floyd Shivambu before it. DA MP and spokesperson on corruption Phumzile van Damme laid a complaint with the committee after Shivambu's brother, Brian Shivambu, was named among those accused of being part of large-scale looting at VBS Mutual Bank. This follows the revelations of fraud and corruption at VBS Mutual Bank in a report titled The Great Bank Heist.